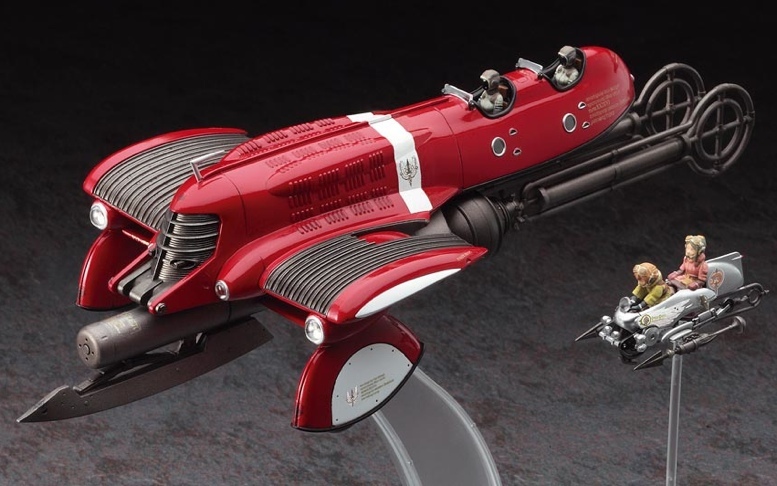 "COMMAND THE SKIES of a dark, futuristic Earth" is the tagline to this interesting steampunk-meets-deco science-fiction kit from Hasegawa. It’s based on the Japanese anime series ‘Last Exile’, a drama that is set on (despite that tagline) a fictional alien planet called Prester. 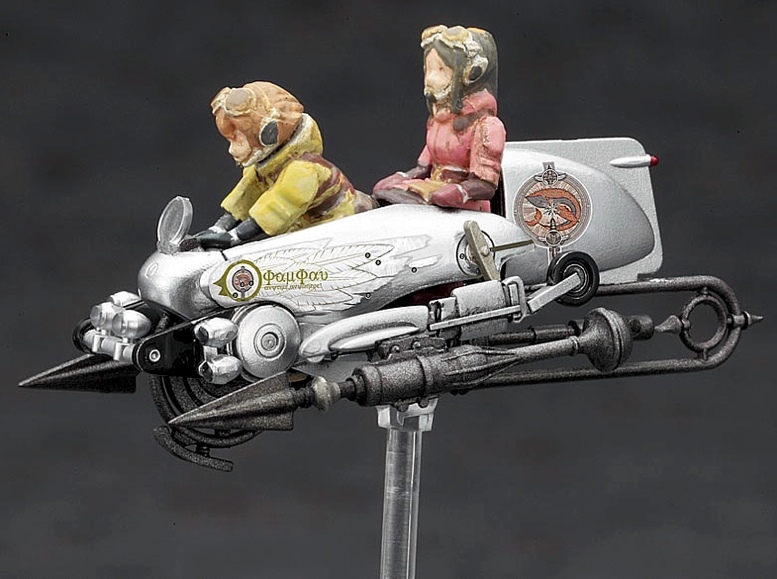 SMN report: Last Exile's flying machines from Hasegawa are intriguing designs, based on reworked early 20th century technology, coupled with a dose of steampunk and pure fantasy. Hasegawa’s new-tool kit features two vehicles, both two-seaters. The streamlined, 82-component Vanship is the bigger of the two, and looks much like a cross between an old Mercedes-Benz roadster and a 1920s-era corrugated-metal Junkers aircraft. We’d venture that, conceptually, the ridges in the stub wings act as radiators for the anti-grav motors that keep the Vanship airborne. The 32-part Vespa kit (above) is named, we’d guess, after the famed Italian motor scooter. The tiny model is neatly done, though this sci-fi version lacks the elegant styling of its Latin namesake. Both the Vanship and Vespa feature long, egg-beater antennas at the rear, giveaways for the anti-gravity motors they use for lift instead of traditional aircraft wings. Both kits have neatly-printed decals and Hasegawa supplies four crew figures, named in the show as Tatiana, Alister, Fam and Giselle. Transparent plastic display stands are included. Have to add that I'd rather like to fly away in this beast from Oxford Airport, instead of the more traditional Cessna. I can almost hear the roar of the Vanship's engine, and the whine from those anti-gravs! 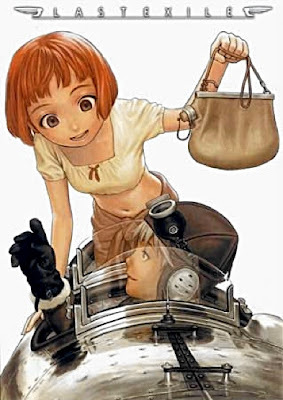 Last Exile is set on the fictional world of Prester, a planet with two nations at war. The two sides, Anatoray and Disith, are separated by a turbulent region of Prester’s atmosphere called the Grand Stream. Chivalry plays a big part in the plot, and an honourable code is enforced by a superior third party, the Guild - think Jedi Knights from Star Wars, and you’ve got something of the idea. Last Exile may be set in a notional future, but the setting involves Prester’s aviators in charge of vehicles that mix unsophisticated retro-tech (sextants anyone?) 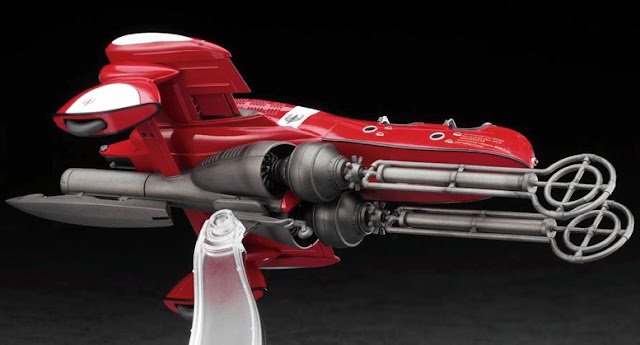 with advanced anti-gravity thrusters (we don't need wings!). 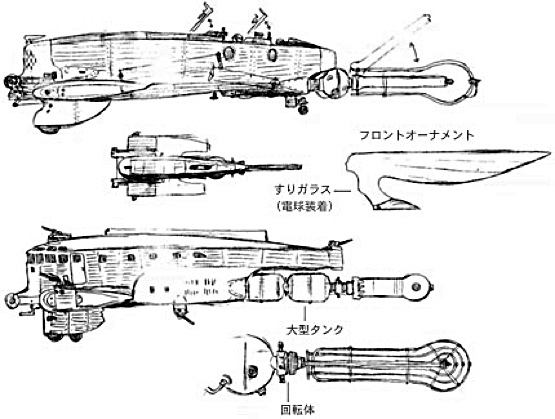 Real-world historical designs (concept sketches above) were drafted in as inspiration - Japanese dreadnoughts and German airships for machines, with Napoleonic, Red Army and American Civil War for uniforms. The historical referencing has given Last Exile a richly dense visual backdrop. It’s a fun mish-mash of ideas that has been a commercial success, with the drama appearing in print, TV and on disc. As drawn, the anime characters (DVD sleeve below) are somewhat on the cute side for the SMN Crew. 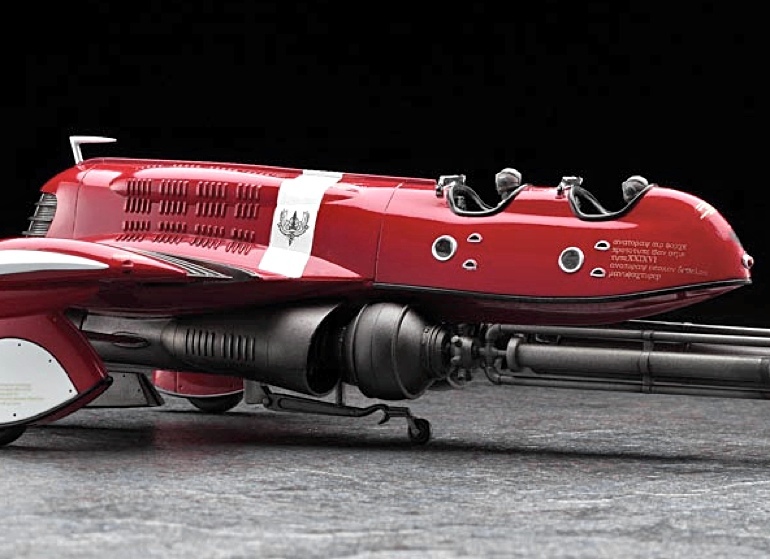 Hasegawa's 1:72 scale models provide a more serious take, as might a live-action movie that's rumoured for possible future release. 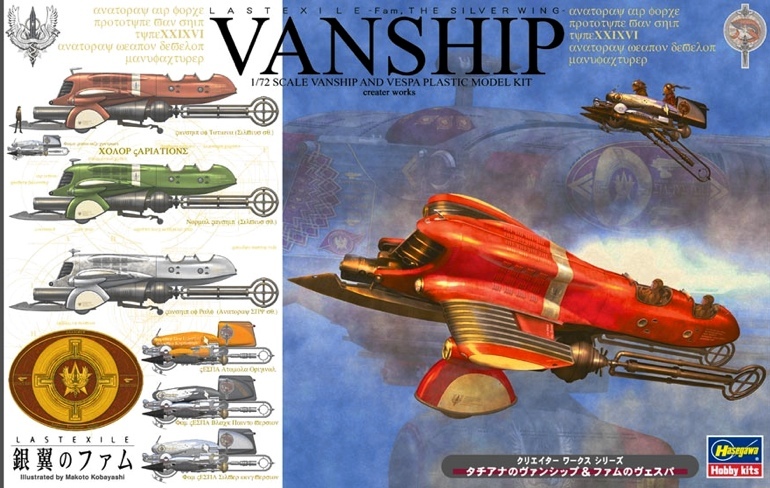 Hasegawa 1:72 scale Vanship double-kit available here. Here’s a nifty homemade paper version, made to 1:24 scale.